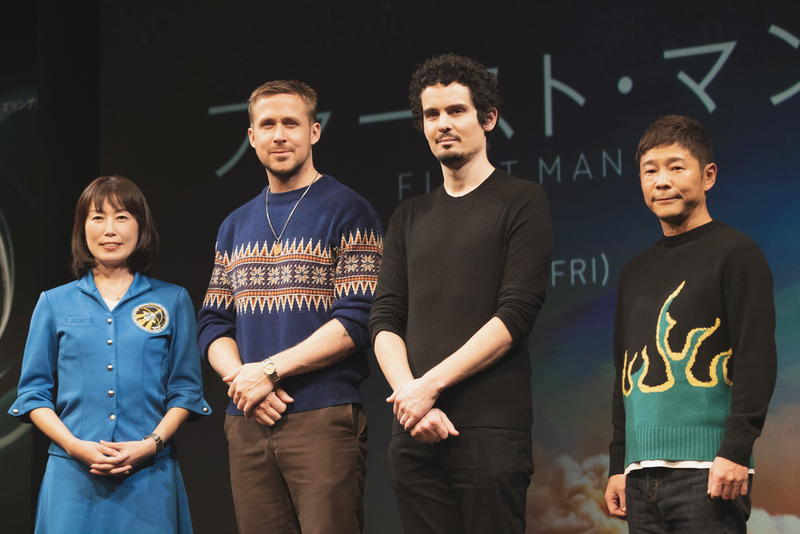 ライアン・ゴスリングさん（左）とデイミアン・チャゼルさん　© 2018 Universal Pictures. All rights reserved. Chazelle: When I first read the book that the movie’s based on, by Jim Hansen, it seemed in a way like an extension of a question I had grappled with in my earlier film Whiplash. And this question being what the cost of a goal is – the cost of pursuing a goal, and looking at that process by which a goal is achieved. In some ways there’s no more famous goal in history than the goal to land a man on the moon. So it seemed like a kind of, a sort of iconic canvas upon which you could ask that question. 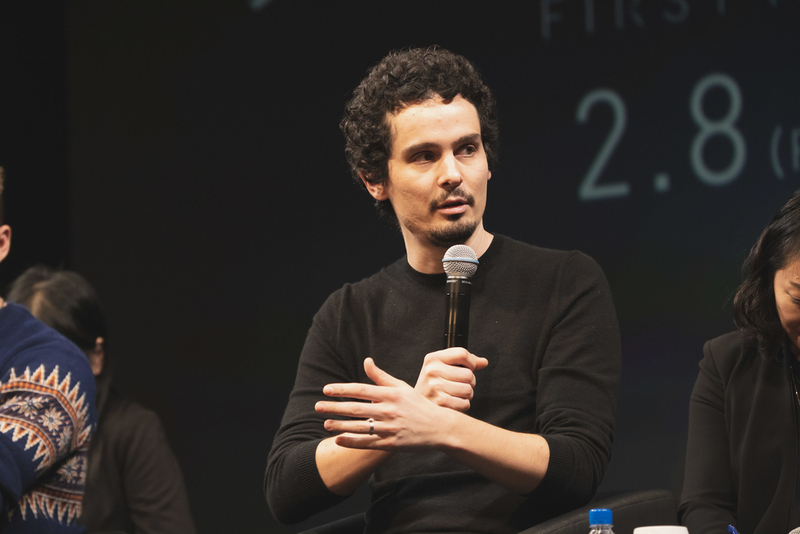 Chazelle: But after starting to work with Ryan on the movie and starting to really do more research, the project became a little different, for me at least. It became a little less of a story about a goal, and more a story about where Neil was coming from – specifically the grief and loss of his life that I think perhaps helped propel him towards the moon. But I think it was always that balance between the space mission and the intimate emotional life of Neil and his wife Janet. 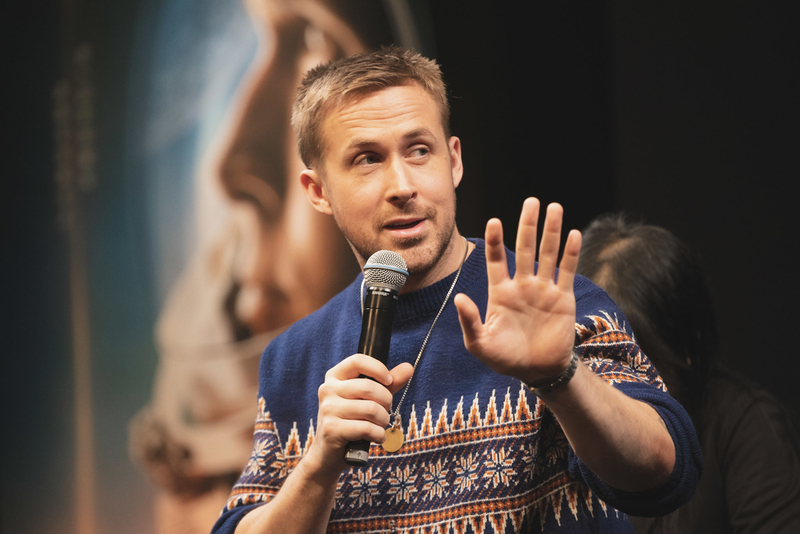 Gosling: As much as I thoroughly enjoyed every moment of making this film, especially the mission sequences – the experience of being in the spacesuits and looking out the window of these meticulously crafted capsules, and seeing on an LED screen, the moon outside the window, as much as I loved that, I loved even more that when Damien said cut. I just, it was a set and I was stepping onto the Earth, I realized in those moments just how courageous and how much bravery it takes to do it. I have just tremendous respect for what you do, and for what you’re about to do, so. I think, I’ll be here on Earth, cheering you both on, and supporting you from down here.